Along with the ongoing expansion of applications for optical connectors, the optical connector polishing machine "ATP-3200"and"ATP-3000" can handle not only standard optical connectors, but also prototype polishing of newly developed products up to various kinds of small volume to mass volume production. While reducing capital investment costs and process development investment, the"ATP-3200"and"ATP-3000" realize the latest polishing specifications and high efficiency in terms of polishing costs, making it highly popular with everyone. In addition to providing high polishing performance, this product can also reduce running costs through its user-friendly design, which allows the easy attachment/detachment of ferrules and connectors, and through a reduction in maintenance work needed to keep polishing performance. 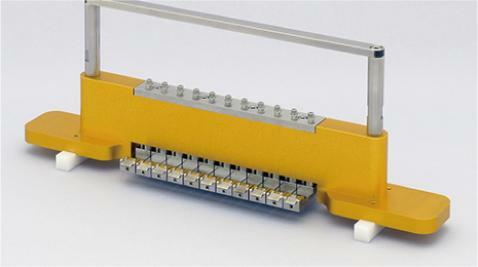 "ATP - 3200", can of course polish small amounts, but since it is possible to mount 2 jigs, by installing the optional part, it can simultaneously polish up to 48 MPO connector terminals or as many as 96 LC connector terminals. The unique polishing paths result in a high level of success in the first polishing run (and consequently a high yield). 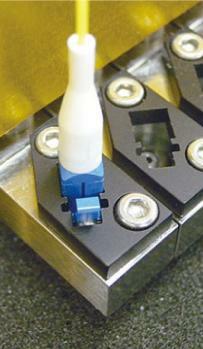 In conventional automatic rotation polishers, all connectors pass over the same spots on the polishing film. As a result, if there remain abrasive particles or foreign substances from other processes, however how small in quantity, they affect the end faces of most or all the connectors produced. In contrast, with the ATP polisher series, the polishing path for one connector overlaps only with those of the adjacent connectors. 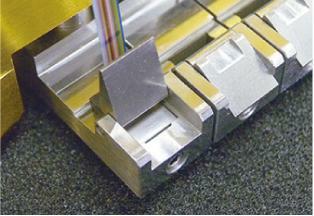 Therefore, even if there happens to be a foreign body on the film, this does not affect the remaining connectors. 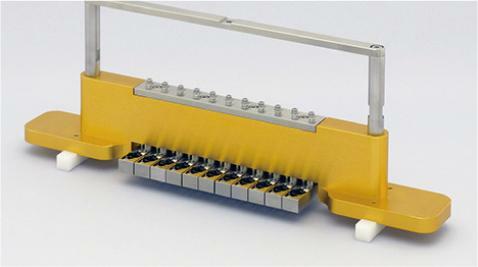 This unique polishing path control mechanism achieves an unprecedented high first-run polishing rate for the surface quality of the connector end face. 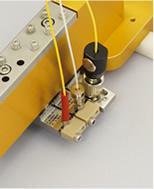 In addition, the polishing paths can be adjusted by connecting the ATP-3000 to a PC. This makes it possible to optimize polishing to match the characteristics of any target part that has special polishing requirements. NTT-AT can make jigs from 1 insert on up. Move from planning and development to structural construction for mass production quickly and smoothly. The ATP-3000 polishing machine's independent pressurization jigs use a unique attachment structure, and so polishing jigs from even 1 insert (1 terminal) can be manufactured to match the customer's request. Evaluation of risky polishing processes, such as special material quality polishing, process improvements, etc., can be done at low cost, and by simply adding inserts, you can easily build a structure for mass production. Silica glass, various resins, ceramics, various metal, etc. 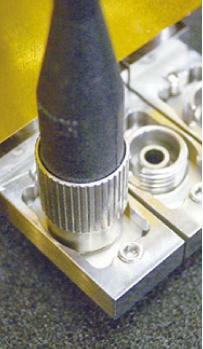 Cylinder, thin board, cube, bare fiber, etc. Spherical(UPC, APC), flat(0-45 degrees), Spherical Lensed Fiber, etc. Priority for polish accuracy, cost, or roughness, dry polish, others. The polishing film is cut in a square shape instead of a circle. In addition to conventional rotational polishing paths, straight line polishing paths are also possible. 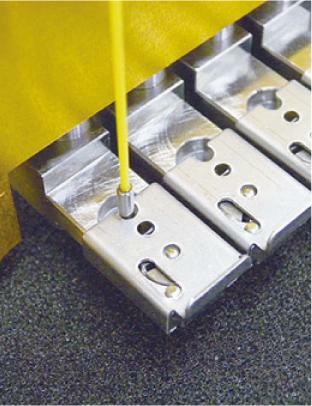 These improvements minimize polishing film waste. Furthermore, with polishing jigs for single-core fiber connectors, such as SC connectors, independent pressuring, which is well proven in the ATP Series, is used. This eliminates the need for rough diamond polishing to adjust the connector and ferrule height. 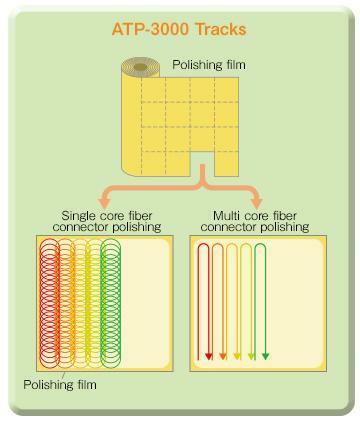 As a result, low reflection PC polishing of single-core fiber connectors can be completed with only three steps: (1) adhesive removal, (2) fine diamond polishing, and (3) ADS silica finishing. You only need to insert a connector into the polishing jig, and the pressurizing mechanism is completely locked! No special techniques or skills are needed. Since the surface is fixed from both sides, anyone can do the polishing without risk of the surface tilting. 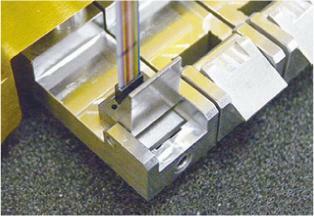 The rigid clamping made possible by the core structure allows you to achieve stable polishing quality. 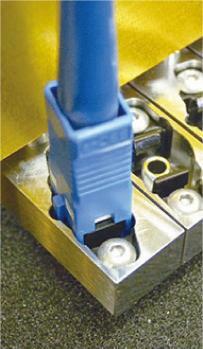 In addition, no special equipment or polishing solutions are required for polishing a fiber array or PLC. These can be polished easily with readily-handled polishing film in the same way as connectors. 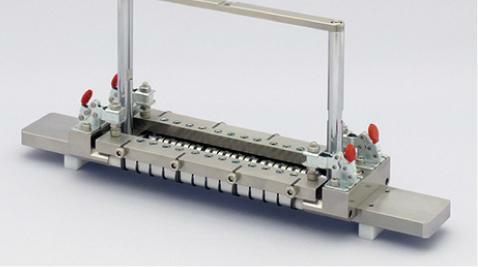 Furthermore, since most polishing films are common for fiber arrays and connectors, the same polishing line can be used for both fiber arrays and connectors. 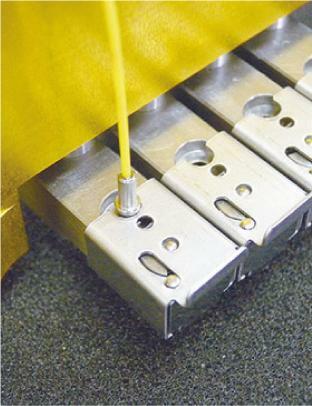 The duration and speed of the polishing process and the polishing path can be set in advance for each target item, such as SC/AdPC（APC） connectors or MT-24MM connectors. 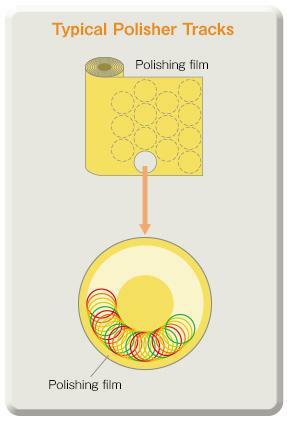 The polishing operator does not need to change the settings during each production run. This eliminates faulty processing due to human error.When a computer is connected (RS-232C/USB), you can input a process program, adjust the polishing paths, and operate the polishing machine remotely. This makes it possible to link several polisher machines in order to automate the production line, or introduce centralized control to meet expansion in production capacity. A video showing how to use the ATP-3000 is available.